The Exynos variant of the Samsung Galaxy Note 9 has been receiving the Android 9.0 Pie update. Today we have the Pie update firmware with build version N60FXXU2CRLT for the Note 9. 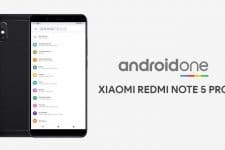 Here is how you can install the One UI Android Pie firmware on Galaxy Note 9 (SM-N960F/FD). 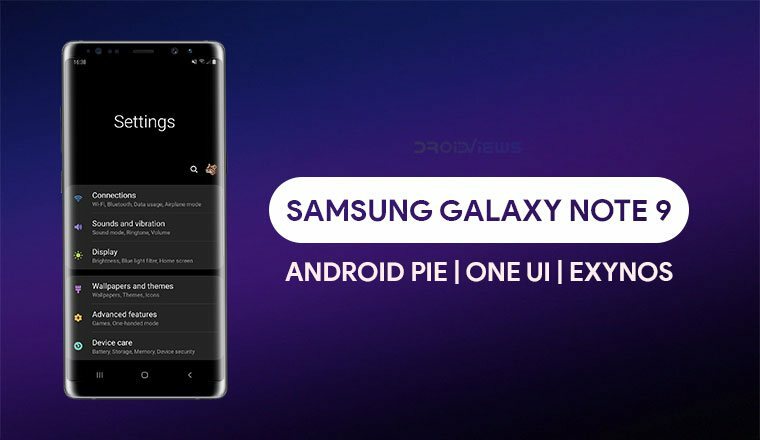 Samsung is gearing up to launch the Android Pie based OneUI update for its latest flagship, the Galaxy Note 9. It has been a few months since Android Pie originally launched and quite a few devices since then have been updated to Android Pie. 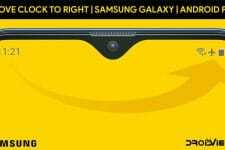 The Samsung Galaxy Note 9 is soon to join their ranks. However, thanks to a leaked firmware you can install the OneUI update on your Samsung Galaxy Note 9 right away. The leaked firmware is still official but it is possible that it may have some minor bugs. Samsung probably had some good reasons to not have released the firmware yet, after all. The update is based on the latest Android 9.0 software with Samsung’s new OneUI running on top. OneUI has been designed specifically keeping the super tall, modern smartphones in mind. Not just the Android interface but also every built-in Samsung app has been redesigned. It makes using huge touchscreen displays easier to use with one hand by bringing all the interactive elements towards the bottom. The upper part of the screen is reserved as the viewing area where you can see information which doesn’t need to be touched. Apart from that, there’s an in-built- dark theme finally so you don’t have to go looking for hacks. OneUI Features 10 Samsung OneUI features you should know about. Your data should be safe but it is still recommended that you perform a complete backup of your personal data, including the storage. We’ve already put up a guide on how you can backup your apps using Titanium Backup if your device is rooted. We also have some other backup guides which aren’t as wholistic but if you’re not looking to root or pay for the full version of Titanium Backup, these might be helpful. Make sure you have the Exynos variant of the Galaxy Note 9. 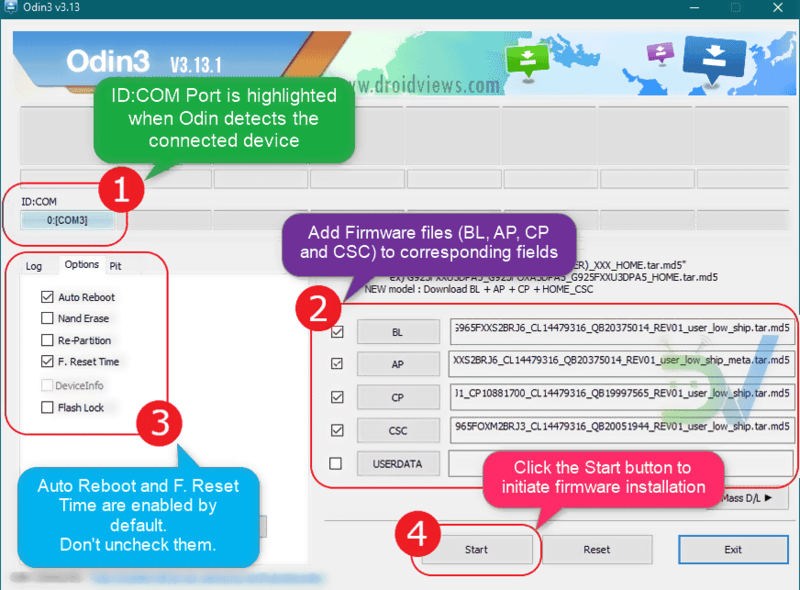 You’ll need Odin to flash the firmware to the device. Odin can be downloaded from the link provided below in the Downloads section. Please note that the CSC of the Android Pie firmware for the Galaxy Note 9 is OMC_OXM. That means it is a Multi-CSC firmware that can be installed on all carrier-unbranded Galaxy Note 9 regardless of country or region. Download the Android Pie based OneUI firmware (N60FXXU2CRLT) for your Galaxy Note 9 from above and extract the downloaded ZIP on your PC. The extracted firmware files should be in ‘.tar‘ or ‘.tar_xxxx_xxxx-.md5‘ format and a zip file. Extract the zip file as well and you should now have four files with a ‘.tar‘ or ‘.tar_xxxx_xxxx-.md5, format. Rename all the files so that all of them simply have a ‘.tar‘ extension. 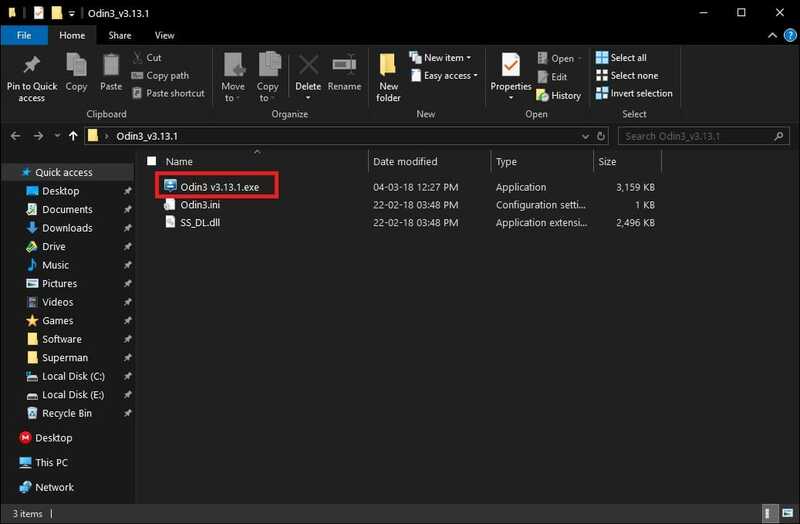 Extract the Odin ZIP to an easily accessible location on the PC. Click on the BL button and select the extracted firmware file which has a name that starts with BL_. Similarly, click on the AP, CP and CSC buttons and select the files with initials AP, CP, and CSC respectively. When you’re done, the BL, AP, CP and CSC fields should be populated with the respective files from the extracted firmware. Power off your device. Wait for a couple of seconds after screen goes off. Press and hold the Volume down + Power + Bixby buttons together until you see a warning screen. Connect the phone to the PC using the USB cable and the ID:COM port should light up and you should see Added!! on the bottom left under Log. 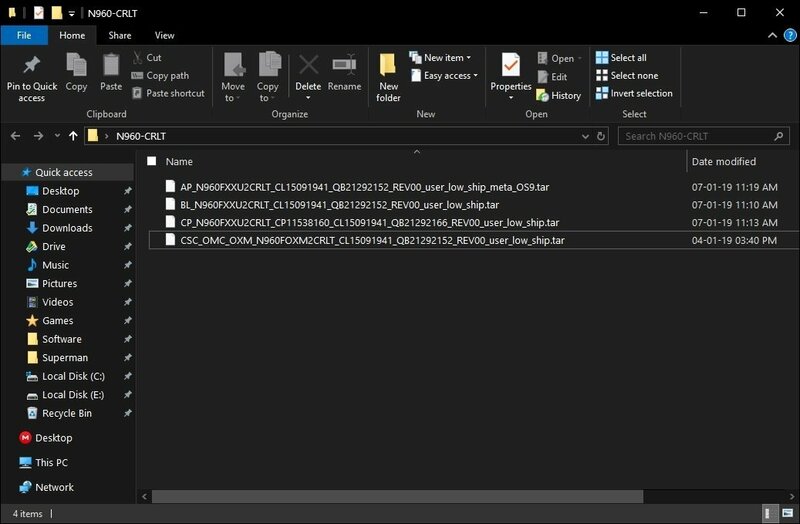 Make sure that you choose the ‘HOME_CSC’ file and not the regular CSC file. Using the regular CSC file will wipe your phone completely, including the internal storage. On the left-hand side, under the Options tab, make sure only AutoReboot and F.Reset Time are checked. When you’re ready, click on the Start button in Odin. When the flashing process is complete, you should see the PASS! message and the device will reboot automatically. Congratulations! You have successfully flashed Android Pie Firmware on Galaxy Note 9. Enjoy the One UI update on your Note 9! does it matter which version of oreo im on? Nope. You can install it on any version.